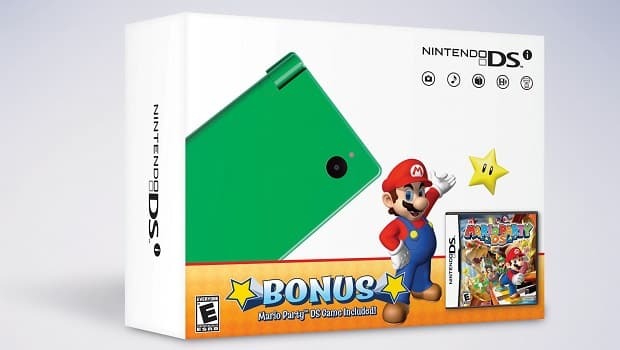 Nintendo of America are to provide a splash of colour to their Black Friday offering with two new bundles for their popular Nintendo DSi, featuring brand new orange or green systems and a copy of Mario Party DS. These new bundles will be on sale from November 26th, at a suggested RRP of $149.99, and are to be available whilst stocks last. The duo of new colours join the ranks of Nintendo’s line-up of Holiday bundles which further includes the limited edition red Nintendo DSi XL bundle, on sale in celebration of the 25th Anniversary of NES classic Super Mario Bros. This includes Mario Kart DS and two preloaded software titles; Brain Age Express: Arts & Letters and Brain Age Express: Math and Photo Clock, and is available at an RRP of $179.99.